Recent and upcoming performances include appearances in New York, Los Angeles, Chicago, Boston, Washington, Atlanta, Houston, San Diego, Phoenix, Kansas City, Barbados, Canada, and Germany. 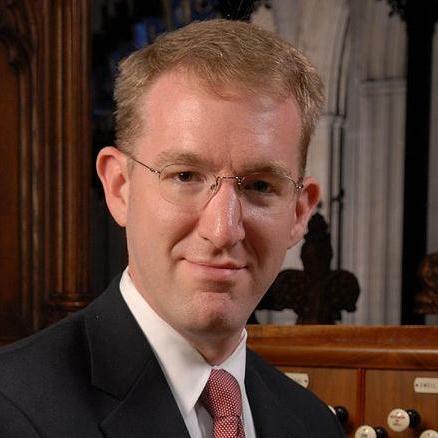 He has performed at national conventions of the American Guild of Organists (2002, 2010, 2014), the Association of Anglican Musicians (1996, 2005, 2012), and the Association of Lutheran Church Musicians. Festival appearances include the Lincoln Center Festival, the Carmel Bach Festival, the Arizona Bach Festival, the Bermuda Festival of the Performing Arts, and the Piccolo Spoleto Festival. In addition to his concert appearances, his performances have been broadcast on American Public Media’s Pipedreams and Performance Today, the BBC’s Choral Evensong, and The New York Philharmonic This Week. A native of Wilmington, Delaware, Mr. Dettra holds two degrees from Westminster Choir College, where he was a student of Joan Lippincott, and has also studied jazz piano at Manhattan School of Music. He has previously held positions as Keyboard Artist of the Washington Bach Consort, Assistant Conductor of Washington’s Cathedral Choral Society, and church positions at St. Paul’s, K Street in Washington; St. Mark’s, Locust Street in Philadelphia; and Trinity Church, Princeton.